Tired of impatient gift recipients sneaking a peek at presents before Christmas morning? 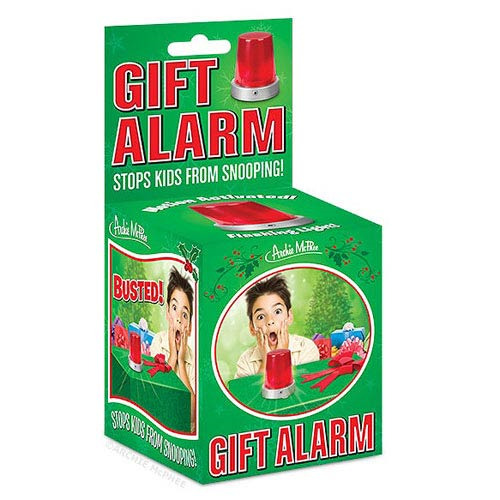 This 2 3/4-inch tall Gift Alarm with Flashing Red Light has a motion detector that extends in a 4-foot radius around the gift. If some lookie-loo tries to approach their stack of gifts, the alarm goes into DEFCON 1 with a loud siren and flashing red lights! You could also use this to protect the last piece of cake or your diary. Requires 3x "LR44" batteries, included. Ages 12 and up.